The new biogenic dental products can — in theory — rebuild teeth and cure cavities without today's costly and uncomfortable treatments. Taking inspiration from the body's own natural tooth-forming proteins, the UW team has come up with a way to repair the tooth enamel. The researchers accomplished this by capturing the essence of amelogenin — a protein crucial to forming the hard crown enamel — to design amelogenin-derived peptides that biomineralize and are the key active ingredient in the new technology. 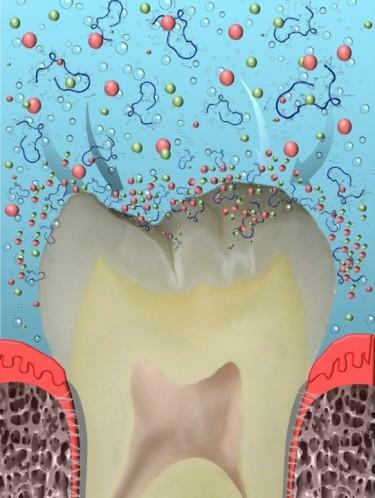 The bioinspired repair process restores the mineral structure found in native tooth enamel. The research was funded by the Washington State Life Sciences Discovery Fund and the UW Department of Restorative Dentistry's Spencer Fund. For further information, contact [email protected] or http://www.uwgemsec.com.